(Brad Bourque @ DigitalTrends) You’ve probably seen 32-bit and 64-bit options available whenever you download an app, or install a game. Your PC might even have a sticker that says it has a 64-bit processor. But does it really matter? Nearly every PC nowadays has a 64-bit processor now, so why should you care about the difference between 32-bit and 64-bit operating systems? Well, for starters, if you’re a Windows user, you’ve probably noticed that you have two Program Files folders — one labeled simply “Program Files” and the other labeled “Program Files (x86).” Understanding the difference between these two folders and why you have them in the first place is pretty important, especially if you’ve ever installed the wrong program in the wrong folder. It’s the kind of thing you’ll never notice until you accidentally do it and your apps start misbehaving. First off, the reason you have those two folders is because there are currently two fundamentally different architectures used to manufacture computer processors, and as a result, there are two fundamentally different ways to write programs and apps. Applications all use shared resources on a Windows system; these are called DLL files, or Dynamic Link Libraries. They’re basically just pooled libraries of common resources that many different apps will use. Windows puts them all in a single place to make things easier for software developers. So those DLL files are written and structured in fundamentally different ways because they’re meant to be used by 64-bit applications or 32-bit applications. If, for instance, a 32-bit application reaches out for a DLL and finds a 64-bit version, it’s just going to stop working. Imagine going into a library to find a specific textbook, and then realizing that everything is in a foreign language. You’d likely leave and assume you went to the wrong place right. Same basic principle applies here. Wouldn’t it be easier if you simply used 64-bit software on 64-bit systems, and ignore 32-bit software entirely? Well, not really. The problem is the 32-bit (x86) architecture has been around for a very long time, and there are still a host of applications that utilize 32-bit architecture. Modern 64-bit systems can run 32-bit and 64-bit software because of a very simple and easy solution: two separate Program Files directories. When 32-bit applications are sequestered to the appropriate x86 folder, Windows knows to serve up the right DLL, aka the 32-bit version. Everything in the regular Program Files directory, on the other hand, can access the other stuff, the good stuff. So why does it even matter, why do we have these two different architectures at all? 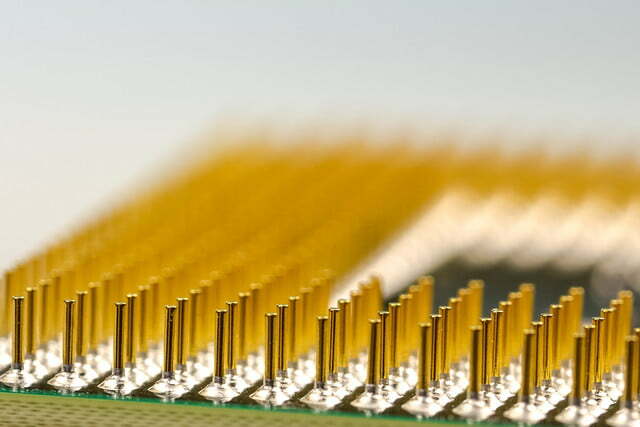 The number of bits in a processor refers to the size of the data types that it handles and the size of its registry. Simply put, a 64-bit processor is more capable than a 32-bit processor because it can handle more data at once. A 64-bit processor is capable of storing more computational values, including memory addresses, which means it’s able to access over four billion times as much physical memory than a 32-bit processor. That’s just as big as it sounds. 64-bit processors are to 32-bit processors what the automobile is to the horse-drawn buggy. The key difference: 32-bit processors are perfectly capable of handling a limited amount of RAM (in Windows, 4GB or less), and 64-bit processors are capable of utilizing much more. Of course, in order to achieve this, your operating system also needs to be designed to take advantage of the greater access to memory. This Microsoft page runs down memory limitations for multiple versions of Windows. A horse-drawn cart will get you to work just as easily as a car will, barring any equine issues, but a car is a lot more capable – it can get you to work, or across the country and it can do it a lot faster than a horse can. Most software is backwards compatible, allowing you to run applications that are 32-bit in a 64-bit environment without any extra work or issues. Virus protection software and drivers tend to be the exception to this rule, with hardware mostly requiring the proper version be installed in order to function correctly.